Once you start listing the qualities that make a great sports coach, the question is should the coach care most about giving all young athletes a chance, should they focus on winning, or teaching. The best way to get the general option on these questions a Teen Health program did a survey and got thousands of replies. In the Teen Sports Coach survey, focus on winning was the loser as only 9% of participants felt that coaches should focus most on victory. Most others felt that a great coach take care of the morale of their team and losing or winning is secondary. Most agreed that coaches worth the respect of the young athletes put winning in perspective and therefore teach young players that it is one part of the game. It is only natural that participants want to win, but it is the enjoyment of the sport that’s sometimes forgotten. While it is this enjoyment and love of the sport that attracts young players in the first place, it is often the pressure of winning that gets too much and players that have the potential to make it as professionals, simply choose to walk away. For some, the next fact might be interesting since in the same survey it appeared that winning is slightly more important to male students than to female participants. Male sports participants made up 17% of those feeling that coaches should focus on winning, while only 7% of female students voted that winning was most important. A thirteen-year-old student wrote that a great coach won’t be obsessed about winning, but if he/she motivates the team in the correct way, the team would want to do anything to win each match. Both male and female students placed learning new skills high on their list of requirements, and 45% voted that that was the most important aspect a coach should focus on. This includes that a coach should identify players strengths and weaknesses, shows players how to improve the strength further and how to work and better the weaker points. Many of the younger sports participants felt that it was important for high school coaches to see each athlete as a person with fears, dreams and hopes rather than just an athlete. Students aged 13 to 15 all agreed that a coach should be fair and tough. When asked how they handled not making the team, they shared that if the coach told them why and how to improve on their shortcomings, it gave them the opportunity to better themselves. One of the greatest lessons this age group learned from a great volunteer coach is that when you mess up, you need to shake it off as soon as possible so that you can focus on new goals. At the end, it is all about connecting with each player and then to offer support, teach, reward and ensure that sport remains fun. Nourishing modelling by a sports coach is vital in teaching young players to train as well as to how to balance life and sports. When any high school produce several of the finest sportsmen, this positive result is tracible back to the coaches. With coaches that was previously involved with professional sports and the best in their respective fields, such as rugby players with guts and flair, batsmen that have previously delighted crowds or with their timeless elegance and strokes, individuals who have excelled in hockey, tennis or water polo, high school children have all they need to succeed. In the heritage of excellence of any high school, sports play an important part. It is not always about being the best or the winning team, being good at a sport for children is far more important than covering themselves in glory or trouncing the opposition. High school sport is the crucible where young individual’s life lessons are forged and permanently formed. These include how to lose and win graciously, how to hold your head high and how to pick a path on a challenging road, which is only part of the life lessons learned on the sporting fields. High school sports coaches need the ability to not only focus on the brilliant and talented but always make sure that even the most average sports enthusiast feel welcome. Through sports coaches are the ones that instil the values of respect and loyalty, underpin the meaning of achievement and teach how to be a good ambassador for either your school or later professional team. High school coaches prepare teams to play at all levels, including high provincial or national, which is one of the main reasons why retired professionals make the finest coaches. They’re experienced in starting at a school level, the transition from school to provincial levels as well as national levels. Even in sports part of preparing young people for life is preparing them for leadership. Previously sports coaches interacted with players in domineering ways, that all changed, millenniums done want to be told what to do, they want to engage in sport, create their own experiences and map their own future paths and be more autonomous. Sports couches had to adapt to be successful and looking at the number of rising stars in all sports types they’ve been massively successful. Every parent knows that an inactive lifestyle, diet and most of all low levels of physical activity affects the well-being of children’s health and academic performance. Regular participation in physical activity offers young people a confidence boost while it also establishes fulfilling, healthy lifestyles for the future. Most adults first memory of partaking in sports is whilst at primary school, while their high school sports experiences often coloured their attitude towards sports and staying fit for the rest of their lives. 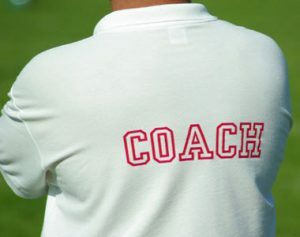 While primary sports coaching, normally offered by volunteers including parents or teachers, start young children’s interest in team sports, specialised physical and sports coaches, understanding the complexities of sports performance, diet, and exercise programs are part of high school sports coaching. Primary school sport coaches passionate about sports-development are crucial when it comes to increasing participation amongst less active children, which builds the foundation for both an active lifestyle and the wish to compete in high school. Several high schools also benefit from volunteer services offered by professional rugby, tennis, netball or soccer players, parents with a history of sports achievements and local gym instructors. The transition professional sports participants to a high school coach are quite a popular proposition, and 50% of sports enthusiasts that have made the shift shared that their decision came even before going to college. The benefits are endless since these coaches participated in high school athletics, which offered them a first-hand opportunity to acquire impressions and informal images about coaching and the change to observe their own coaches. 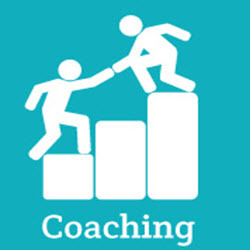 Irrespective of whether a neophyte started as a head or assistant coach, the collective understanding and technical aspects of coaching are most importantly, required by listening and observing more experienced coaches. 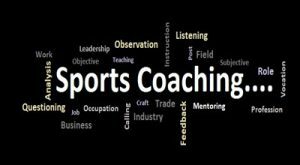 It is a combination of sports participation and observing other coaches that offers a collective understanding of the sports coach occupation. For most novice coaches the reality shock come in the form of fully understanding the long hours, the importance of the coaching culture and hard work as well as the realisation that being successful at high school coaching takes an immense amount of time. Once the first season of coaching nearer its ends, both the internalisation and symbolic transformation of the institutional expectations occurs as the novice chaos have a much better understanding of what it is all about. High school sports coaches play a major role in sports development, their relationships with young athletes influence psychosocial outcomes and skill development of sports participation. There are millions who participate in physical activity and sports daily. In Europe, there is an estimated nine million coaches that coach men, women and children who engage in sports, whether amateur, semi-pro or professional. When you compare this to the number of teachers in Europe, coaches almost double their numbers. Many of those are working with children of varying ages to help them learn particular sports, develop skills and achieve their goals. However, recent studies have shown many of those trusted with the job of coaching lack the qualifications with many being completely unqualified to take on this responsibility. Those studies have demonstrated further most do not hold any certificates or have skills that qualify them to coach young children or any other for that matter. 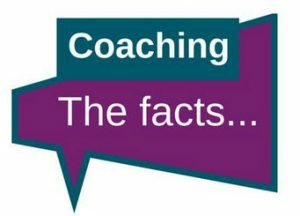 When you consider the number of coaches, coaching could be classified as one of the largest employers in Europe as many are paid for their services. One of the problems is the social statue children’s coaches are given as they are considered essential in helping children grow as individuals and as athletes. What is important however to recognise is that millions of those coaches for so without any remuneration and volunteer their time to help the kids and community sports teams. However, ones that are valued and have credentials ware beginning to see that change. This is thanks in part to new policy’s across Europe that focus on the development of an appropriately educated workforce of coaches by evaluating how people are trained for their respective coaching responsibilities. Some countries, such as Lithuania and Hungary have laws in place that require all those in a position of coach to graduate with a state-recognised certificate, license or diploma in order to act as a coach. Generally, most countries have zero regulations in place that govern the qualifications of coaches and leave that up to the individual sporting associations to manage. The problem with this is, that has been shown to be flawed, and training on how to coach, how to handle children based on individual skills, abilities, and ages is needed to help children maximise their potential. The future of coaching is expected to see improvements in the training models and requirements associations set for those interested in coaching. This will include those who are in paid positions as well as those volunteering their time. One of the concerns is it could lead to a smaller pool of people willing to go through the process, especially those who are doing so without remuneration. How those programs will be developed, or whether they will be adopted as a standard across most sports leagues will have to be seen. The hope is that all those with a shared interest in sports, and the value it not only beings to those who participate, but also those who live in communities, will come together for the greater good of coaching and the benefits it provides. Everyone knows the textbook definition of being a coach, but have you ever truly stopped to ponder what this “job” means and entails? One of the beauties of coaching means that you have taken on the decision to fully invest yourself in a carer that is one of the most powerful, influential, and amazing ones that a person can choose to have. Not everyone is made out to be a coach. But the people that who are coaches are doing something that is more than a profession – this job and its title hold way more power than most people realise. For starts, coaches must work with young athletics who are all going through their own personal trials and tribulation. As a coach it’s your job and responsibility to guide them into becoming the best versions of themselves and learning two of the most amazing games: the sport itself and the wonders of life. Coaches have the power to truly change these athletes by making them incredible at their sport, but almost more importantly – making them even better and wiser people while under your watch. Coaches must remember that at the end of the day – you are a leader of a team of willing participants who admire you and whom they entrust themselves with. Coaching is known to be one of the most difficult professions a person can choose to go through as they must work with an array of aspiring athletes in high stress and public situations. Coaches must keep scores, which means that every week, they are getting judged – hell, even on a day to day basis based on the performance of some kids who are trying to learn and perfect a sport. Coaches must go through having people judge every action they make regarding how well the players play, how much playtime they have, along with where they play at. Along with the judgment, coaches must always be aware of how much power their words have to affect their players – in both a positive and negative light. While facing moments where success is praised having to take calls from officials, no matter how good or bad is part of the job. Coaches must always think about what they have to say to ensure that their players are not falling into a negative slope of doubt. Especially considering how coaches no control over what gets remembered, forgotten or overlooked. Another part of coaching that is often overlooked is the constant dealing with parents. While many of these encounters are wonderful, enjoyable, and full of a pleasant conversation about the player’s successful, failures, and things the must work on. Others can be quite intense and negative. The negative ones are known to have unrealistic expectations of their child making it and will blame the coach, and everyone else if their child is not where they suspect they should be. The best thing a coach can do is try to lower their anger and negativity and teach them to empower their kids. Many people seem to minimise that coaches serve as a positive role model for all players, and that is especially common in situations where the parents have lost sight of it. Research regarding the impact that coaches have, alongside teachers, transformed kids extensively over the last few decades. Nowadays, we know that some of the popular teaching methods used decades ago were unsavoury and did not produce the results that were desired. It’s a fact; fear methods do not work as well with helping a kid become more successful than loving and nurturing them. As many kids, today will say, just because we went over it does not mean that we learned it and can retain it. In reality – having practices filled with mistakes that can be learned from are the best ways a coach can teach a player the realities of life. At the end of the day, coaching is about being a person filled with: passion, understanding, empathy, and consistency. Coaches must model the behaviour and mindset that they would want their players to follow – on and off the field. While you may enjoy coaching your high school team – it is natural for some coaches to crave more. The “more” being moving up the coaching ladder and eventually reaching the level where they can coach college athletics as well. However, the dream could become a reality seeing how many college coaches started off as high school coaches early on in their careers, a few examples being Gus Malzahn of Auburn University and Chad Morris of SMU. 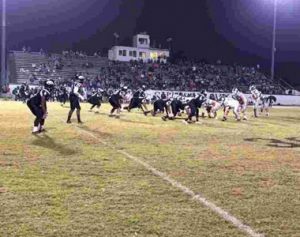 Though the process of breaking into the college football scene can be a challenge, intimidating, and downright hard at times – no matter how successful your high school football team may have been. Despite the challenges and the constant competition, there are a few tasks that aspiring college coaches can do to help themselves and to increase their chances of getting the job of their dreams: all of which will be detailed below for your convenience. Many high school coaches are stuck in the mindset that since they have put in years of hard work and training – and that is shown by their team winning or losing – that they do not have to put the same amount of effort in when they are trying to become a college coach. However, the sooner a high school coach realizes that they’re going to have to work even harder, and sometimes not even get paid for their work, the more they start to appear that they truly want to advance and become a dedicated football coach. While you may want the job as being a full-time coach under the head coach of a college team, sometimes it might serve you well to ask for a job that if off the field. This is mainly because head coaches are more willing to hire prior high school coaches for off the field work due to their prior knowledge of the game, how to interact with the players, and the inner working of plays. Plus, it is easier to work your way up the ladder instead of charging in and demanding a certain job. 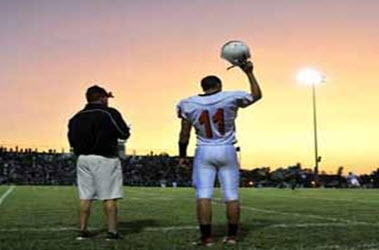 It’s okay to have higher aspirations than to teach high school football – do not become one of the coaches that strive to climb the coaching ladder that they begin to neglect their current team and current job title. Especially considering being known as the coach who is only looking for the next best thing makes his character look undesirable. Plus, no college is going to want to hire a coach willing to let his current team down just for a newer and bigger opportunity. 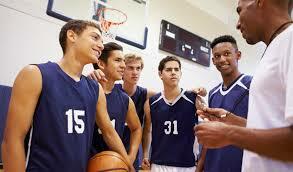 Many high school coaches strive to become college team coaches in their future. Which means there’s more competition in the field. So, finding a way to stand out is going to be ne of your best option if you want a high chance to climb the coaching ladder. The best way to do this is to start adding more to your resume. Or, just by getting creative and sending something alongside your resume to get it noticed. An example of this being a basketball coach having his resume laser-etched to a basketball and handing it directly to the head coach office – and this method worked for him. While having years of high school coaching experience under your belt can help your chances of becoming a college coach – the best coaches are the ones who realise and accept that they do not know everything about the sport. College coaching is a new beast, and it takes learning new skills to perfect and master it. Having a passion to learn and a will to be the best coach for the team will ultimately help your journey of becoming a top rated and well-known college coach. The National Hockey League or NHL for short is the world’s premier hockey league. While it is the players that tend to get the most attention, some highly skilled coaches deserve their own accolades for the achievements they made in coaching the teams they coached for. We thought it might be nice to highlight three of the best in the game who have retired or passed away. Their achievements are well deserving of pen to paper per say. We hope you agree! 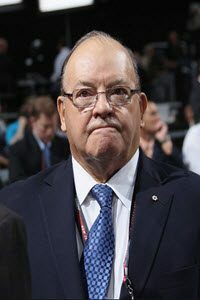 Scotty Bowman had 1,244 wins in his coaching career and is one of the most celebrated. This is the most out of any who have coached in the big leagues and is impressive, to say the least. Bowman began his coaching career with the St. Louis Blues and remained there for four years. After leaving St. Louis, Bowman made his way to Montreal to coach the Canadiens for eight years. A successful run that saw Bowman winning the Stanley Cup five times. After leaving Montreal, Bowman found himself in Buffalo with the Sabres and in his five years with the team, failed to win the Stanley Cup and was fired from his coaching duties. Bowman then moved to Hockey Night in Canada where he was an analyst before returning to the bench with the Penguins for two seasons where he coached the Penguins to the Stanley Cup in his first year. After his second season, Bowman moved onto to Detroit Red Wings and remained there for a record nine seasons. In those nine seasons, Bowman and the Detroit team won the Stanley Cup three times before Bowman retired in 2002. 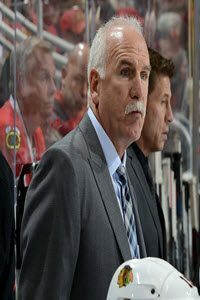 Joel Quenneville has amassed 783 wins in his NHL career as a coach. Quenneville got his start with the St Louis Blues in 1996 and made it to the playoffs in each of the seven years he was coaching the team. His success with the Blues saw him making it to one conference final and winning the Presidents’ Trophy. After failing to win a Stanley Cup for the team he was let go, and in 2005 he returned to the Colorado Avalanche, a team he was an assistant coach with before accepting the head coach position with the Blues. Quenneville remained with the Avalanche for three seasons before moving onto the Chicago Blackhawks where he coached the team to their first Stanley Cup trophy in almost 50 years. Since their first win, Quenneville and the Blackhawks have gone on to win the Stanley Cup two more times, once in 2013 and again in 2015. He is considered one of the best coaches in the league today. However, not all was lost for Arbour as he found himself with the New York Islanders and this is where he shined. While he failed to make it to the playoffs in the first year as head coach, but they did every year after that while he was head coach. 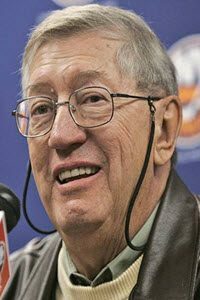 Arbour coached the Islanders to four consecutive Stanley Cup wins during the 80’s before he moved onto the Edmonton Oilers. Arbour remained with the Canadian team until 1986, returning for another six years in 1989 where he coached the team to the playoffs not once, but three times. Arbour had a total of 782 career wins. 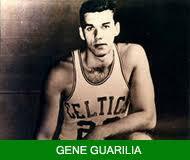 Gene Guarilia was my high school gym teacher. He also taught health classes at the school and had been the basketball coach for many years before I arrived at the high school. He was enormous. Six feet five inches, although he looked a hell of a lot bigger than that. He was known by many names. Whether it was Big Gene, the name all students called him behind his back, Pecos, the name his friends used, or simply Coach, as he was known by the legion of young men he led onto the hardcourt, everyone spoke of him with respect. Gene carried with him a history that was known by many but rarely spoken of. Especially by him. Gene was born in the coal regions of Pennsylvania, in a small town famous for its pizza, Old Forge. September of 1937 was the beginning of Big Gene’s story. It was a story that would span many miles and many days. From the very beginning Gene loved the game of basketball. As a young boy, and later a young man, he could most often be found on the playground, ball in hand, shooting foul shots. His dedication and commitment to the game pay dividends. He became a star in high school. As a matter of fact, in 1953 he said a state record for most points scored by a freshman, 595. His many talents in the basketball court enabled him to attend George Washington University on a scholarship. 30 point college basketball, at one point averaging over 17 points a game and reaching the top ten in the NCAA in rebounding. For all the students of my generation knew, Gene was a musician when he got out of college. In our era, he was the bass player for a very popular band. We had seen him play many of the local fireman’s picnics and most of us thought that that was where his true passion lie. It turns out of his true passion was coaching. Hear the first successful run as her local high school coach. What many of us were unaware of the fact that Gene was an NBA player after college. His knowledge of the game when he was coaching was evident and most players couldn’t understand how their coach had come by such a deep and total understanding of the game. Boston was a dominant team. In a brief span of four years, Gene was a member of four NBA world championship teams. Gene once told me that he left the Celtics after four years because he wanted to take a job that led to a more stable home environment. That job was teaching and coaching. Gene said he left the NBA because the local high school had offered him $2,100 to be a coach and a teacher. Which was more money than this four-time NBA champion was making playing basketball.